Delanco Township is located in Burlington County, New Jersey and has a population of over 4,000 residents. Located along the Delaware River, Delanco is a small township in comparison to other Burlington County municipalities. Nevertheless, the Delanco Police Department have their fair share of criminal and traffic violations. Police issued over 150 criminal charges and nearly 800 traffic and DWI violations between 2017 and 2018. For all traffic violations and those criminal charges that are of a disorderly persons or petty disorderly persons offense, you can expect to appear before the Delanco Municipal Court. More serious offenses with occur in the municipality will be sent up to Burlington County Superior Court. 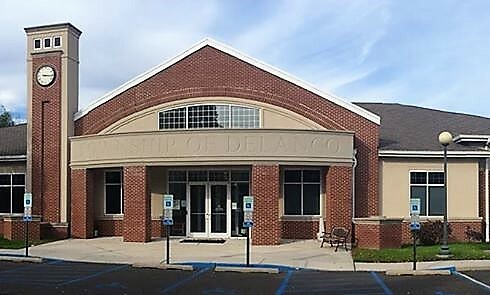 The Delanco Municipal Court is located at 770 Coopertown Road Delanco, NJ 08075. The municipal court judge is The Honorable Corey Ahart, JMC and the Court Administrator is Jennifer Esposito. The court office can be reached by telephone at (856) 461-0181 or facsimile at (856) 764-0984. The court is open from 9:30 AM to 1:00 PM on Monday through Friday and court is in session on the third Wednesday of each month at 5:15 PM. For more information on the Delanco NJ Municipal Court, please visit the town website. If you or someone in your immediate family have been arrested and charged with a criminal offense in Delanco Township or anywhere else in Burlington County, help is available. Speaking with an attorney to better understand what you are facing will only help you in the long run. Depending on the nature of your charges, we may be able to advise you on the severity of the criminal offense and what possible outcomes exist. Do not let the police, prosecutor or judge scare you into a guilty plea that you do not believe is true. Contact the law firm of Proetta & Oliver today for your consultation with a Former New Jersey Deputy Attorney General. Our office can be reached 24/7 for you convenience. Call (609) 850-8284 and take the first step in fighting back.